As something new, UEFA is ready to kick off the new Nations League tournament, which is a replacement for the international friendlies during the qualification games in Europe. The first match is going to be played the 6th of September and is between Germany and France! The Nations League is going to give us some great matches, when the qualifications for the Euros and World Cup are on hold. We can’t really complain when we see that nations such as Germany, France and Netherlands go up against each other, while Croatia, England and Spain are placed in another group. Afraid that the teams are going to go easy on each other? Don’t be! Besides UEFA National Ranking, the nations also play for four placements to the Euro’s. Exciting stuff UEFA! But you can’t really kick-off a new “tournament” without a completely new ball, and as always adidas got us covered with a new ball made for the occasion. The new adidas football made for the Nations League is based on the same panel design and the Telstar World Cup ball, but with a different graphical design. 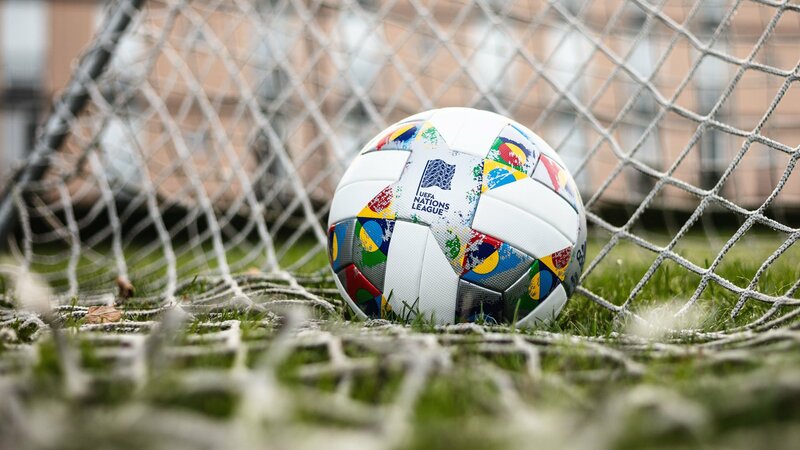 The Nations League ball comes with a colourful theme on the upper, while it has a base of white and silver. The colourful theme takes inspiration from the official UEFA Nations League brandings, which UEFA is using at the moment. Get the Nations League ball right here!